Since Briggs Landscape Supply has all your construction supplies for any outdoor project, it only makes sense we would have garden accessories to complement your garden bed. 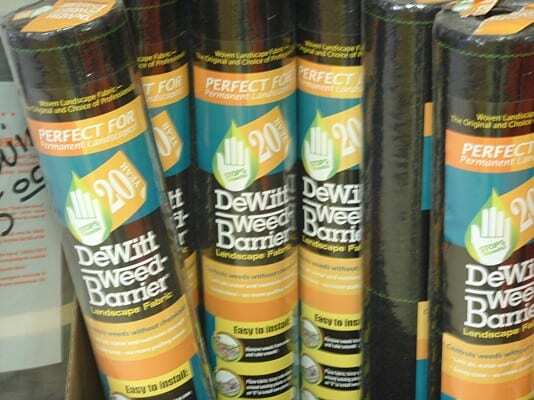 Before you start your garden you should consider a quality weed control such as DeWitt Weed Barrier. We know what it takes to transform your regular landscaping into a beautiful work of art that will leave you and your guests breathless. That’s why we offer you preventative weed control measures to keep the unsightly weeds out so the main focus is your beautiful plants and flowers. Outdoor projects are considered our expertise. We have a great staff of knowledgeable and friendly people who are just as excited about your project as you are through the various decisions associated with your landscape improvements. Stop by Briggs Landscape Supply today!